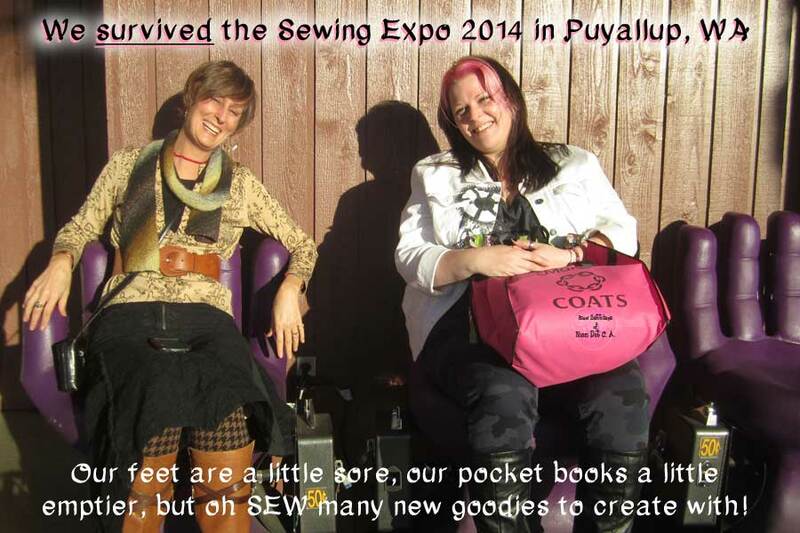 at the annual SEWING EXPO in Puyallup! 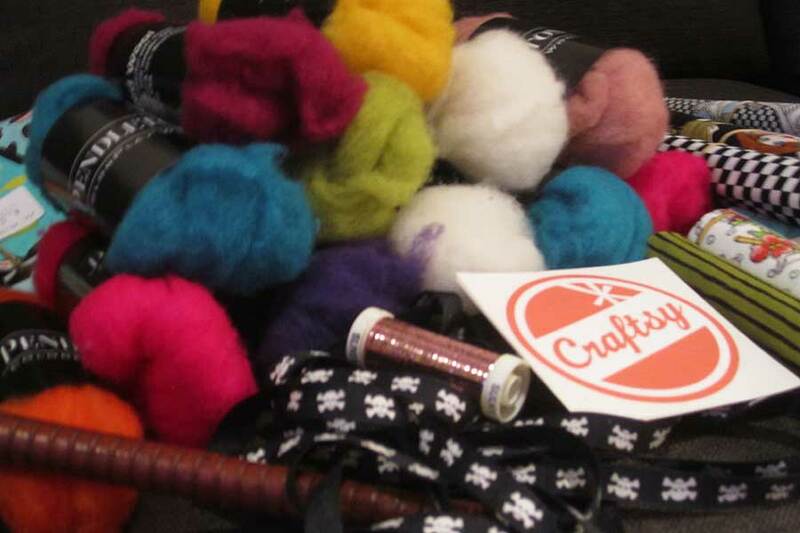 I found many wondrous goodies at the annual sewing expo in Washington Friday …. even some juicy CHERRY PIE fabric! My good friend Satira was a trooper and drove us 3 hours in each direction to get us to the expo. I am sure she slept in yesterday to make up for the lost energy after a long day. What a trooper! Being a mixed media Artist and having never been to a sewing expo, I was not quite sure what to expect and if it would be worth the long trek. It was! 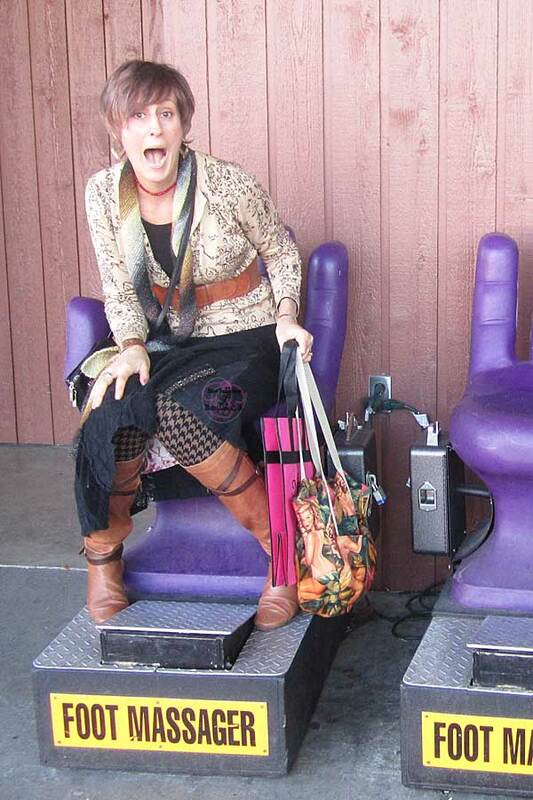 Not all booths grabbed my fancy, but the ones that did…. Oh My! I would now LOVE to figure out how to get my art into embroidery programs like Loralie has done. What a great idea! If I had had the extra money and no country borders to cross going home, I could have easily spent a few hundred $ there and hired a ‘bag boy’…lol. We may have laughed earlier upon seeing the foot massage chairs at 9:30 in the am, but boy did they ever feel nice at 5:30pm!